"Does it bother you that everything you're selling is fake?" 20th Century Fox has released the new full-length trailer for The Greatest Showman, the exciting new musical telling the story of showman P.T. Barnum, the original creator of the vaudeville show known as the circus. Hugh Jackman stars as P.T. Barnum, in this rather extravagant but mesmerizing musical, with original songs from the Oscar-winning lyricists of La La Land, Benj Pasek & Justin Paul (this is a big marketing point). The huge ensemble cast also includes Zac Efron, Michelle Williams, Rebecca Ferguson, Paul Sparks, and Zendaya. Okay I have to honestly say, this looks magnificent, I really can't wait to see this. Maybe there's a chance it could be another outstanding year-end movie sliding in the last few days of 2017. No really, it looks great. Have fun. You can still see the first teaser trailer for The Greatest Showman here, to see even more footage from this. Inspired by the imagination of P.T. 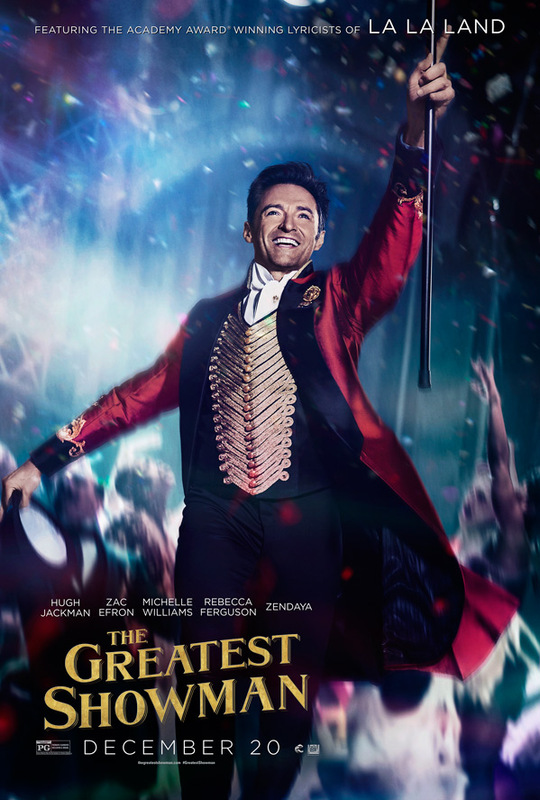 Barnum, The Greatest Showman is an original musical that celebrates the birth of show business & tells of a visionary (Hugh Jackman) who rose from nothing to create a spectacle that became a worldwide sensation. The Greatest Showman (originally The Greatest Showman on Earth) is directed by newcomer Michael Gracey, a former visual effects supervisor making his feature directorial debut with this film. The screenplay is written by Jenny Bicks and Bill Condon; based on a story by Jenny Bicks. 20th Century Fox opens Gracey's The Greatest Showman in theaters everywhere starting on December 20th, just before Christmas Day later this year, right in the middle of the holidays. Excited yet?